Blended learning. If you’re a publishing insider, that academic buzzword is nothing you haven’t heard before…but what is it, and why do we care about it? In a digital era that’s becoming increasingly unfriendly to traditional textbook publication, blended learning is the potential answer to some of our publishing woes. It appeals strongly to educators and students alike and has the potential to improve learning outcomes…and sales, too! Blended learning is, simply put, the combination of traditional learning materials with customized digital content. Traditional classroom learning is devoid of the interactive elements that students crave. Online learning without the face-to-face interaction of a typical classroom can be challenging for students who need more hands-on guidance. By combining the old with the new, students and educators reap the benefits of both. When blended learning enters the classroom, there’s something in it for everyone. 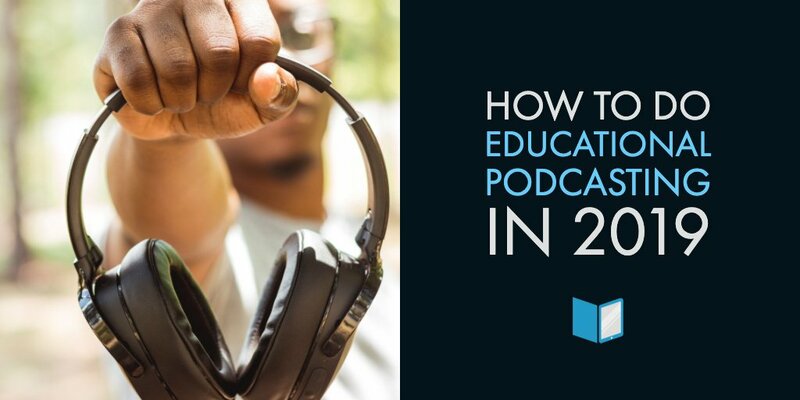 Are you a student, educator, or publisher? Here’s how blended learning can help you! If you’ve ever tried on a pair of one-size fits all pants, you know the phrase isn’t exactly true. While most people may be able to put them on, pants that fit everyone rarely fit everyone well. The same is true for education. While most students can make it through a standard, one-size fits all curriculum, many of them can’t reach their full learning potential…and it’s not their fault! No student learns alike. Each student has unique strengths and weaknesses. Some may thrive with auditory learning and note-taking while others need to tackle hands-on assignments to internalize new knowledge. Some bright minds may have unique challenges like dyslexia or ADHD that makes hours of reading or taking notes during a 90-minute lecture problematic. Educational backgrounds differ, too. Two students may have taken the exact same pre-requisite taught by two different teachers. Despite educational standards, the material taught by individual professors can vary wildly. Because of this, one student may automatically enter the next class at a disadvantage. Blended learning allows each student to find the right fit for their learning style and background. Students can access material from anywhere, easily assess their own progress, and pinpoint where they need to improve. The short, bite-sized learning objects offered by digital material allows learning to take place conveniently throughout the day without straining attention or disrupting a busy schedule. Meanwhile, the classroom component fills the need for individualized attention and direct feedback from an instructor. For students, it’s the best of both worlds! Efficiency- Most instructors discover they can run their classes more efficiently with blended learning. After the initial learning curve, it’s easy to design lessons that allow students to watch the lecture and complete reading assignments at home. This leaves more time to tackle questions and conduct in-depth discussions during class. 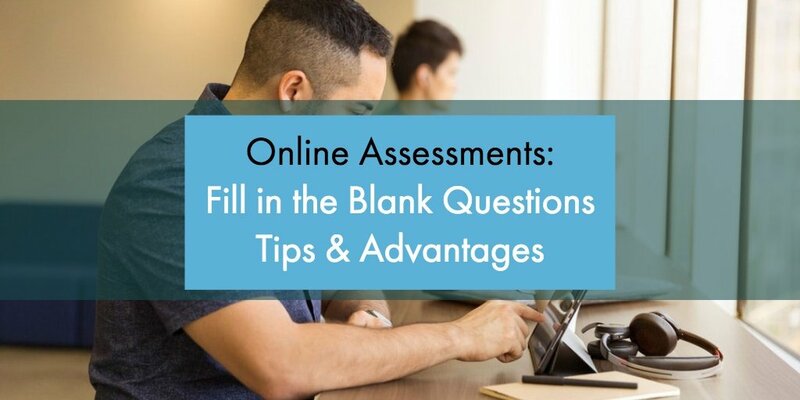 Easy assessments- The online aspect of blended learning allows teachers to consistently and automatically track their students’ progress, comprehension, and mastery of the material. This allows them to catch at risk students BEFORE they fall, rather than after they’ve already bombed a test. Improved reports- Since completion of assignments and scores on assessments and tests are all tracked digitally, it’s easy check up on each student. More importantly, it offers teachers a clear picture of their class’s success as a whole. Which assignments did students struggle with the most? Which did they love? Which lessons missed the mark? These are all valuable questions that can be answered by blended learning solutions. Less time- Grading assessments and planning lessons takes up a huge chunk of time. The digital assessments and reports offered by blended learning solutions does some of this work for you. Less money- Few teachers have the time to design interactive learning materials all on their own. This means most of them would have to pay for additional products or academic services to offer their students the interactivity and flexibility they want. 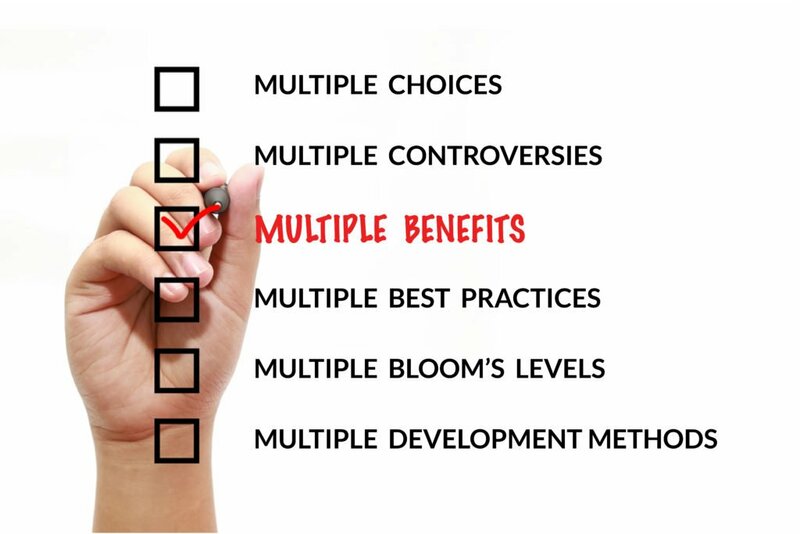 In a blended learning program, those features are already built in. The old, tried and true methods of publishing simply can’t achieve the same results they used to. With heavy competition from sites like Amazon and other online rental services, there are fewer opportunities to make a profit. That’s why publishers need to change their tactic and move in the direction of blended learning content. 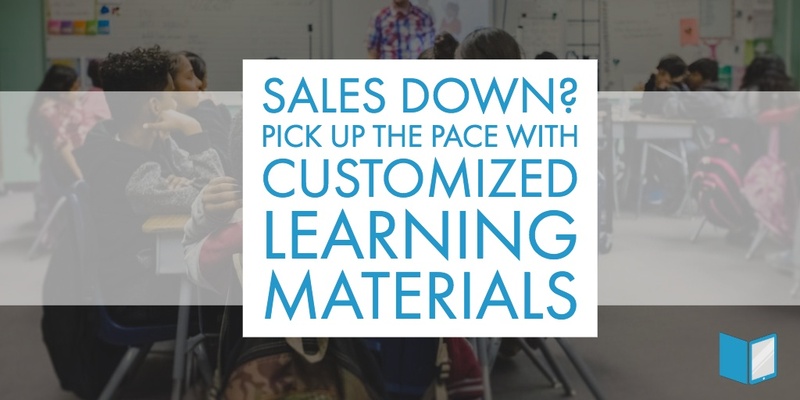 With a blended, customized education, learning can fit the learner. Blended, customized learning helps both teachers and students achieve more in less time, providing a service that Amazon and other used book and rental giants just can’t offer. 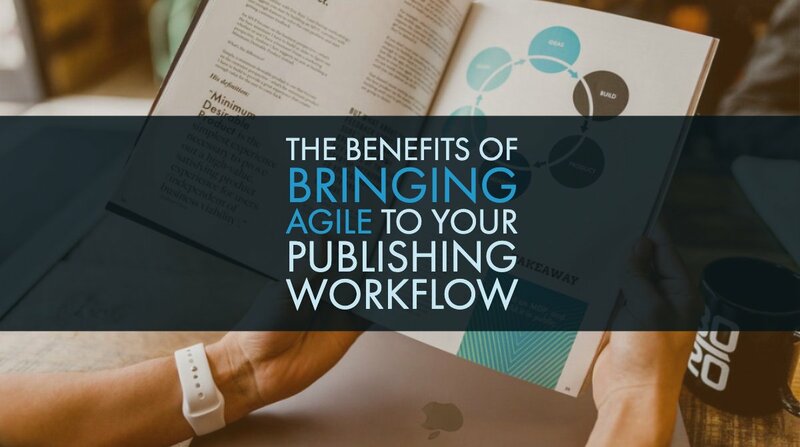 The best way to succeed in business is to provide unique value, and that’s exactly what blended learning enables publishers to do. 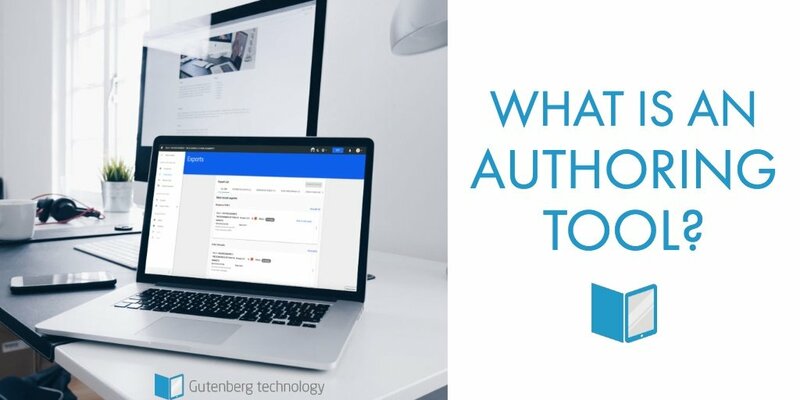 To make a most of this opportunity, use a quality authoring platform like Gutenberg’s MyEContentFactory to begin your journey into blended learning success.